Not a day pass by when Satpal Ji doesn't find a quiet corner to cry for his daughter Poonam. 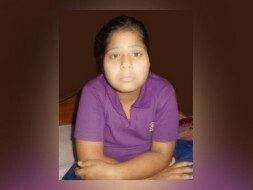 Poonam, who is just 12-year-old is suffering from APLASTIC ANAEMIA - "deficiency of all types of blood cell caused by the failure of bone marrow development" and is being treated at AIIMS Delhi. As per the doctors, Bone Marrow/Stem Cell Transplant is the only survival option left. Still, AIIMS doctors are treating her with special medicines and will be performing an HLA typing test in April to find possible donors. Currently, Poonam is undergoing blood/platelets transfusion every week and requires 4-5 units of blood/platelets, which counts to 20-25 units every month. 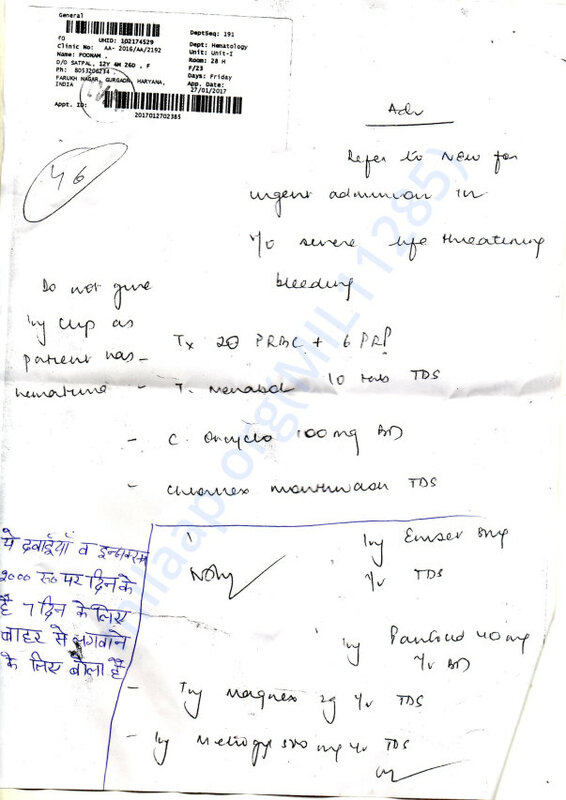 Cost per unit of blood is INR 800 and weekly cost of medicines is INR 2000. Satpal ji who is a daily wage worker earns not more than 8-10 K per month and continuously struggling to raise funds to save the life of his daughter. 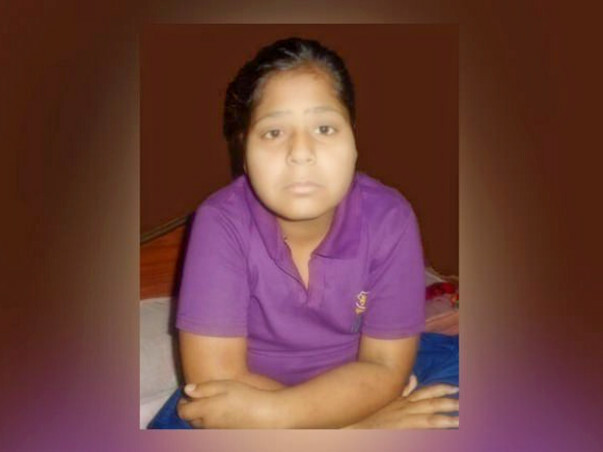 SNEH Foundation has taken a plunge to save Poonam’s life. We request everyone to please come forward and contribute generously. SNEH Foundation is a volunteer driven NGO working on the critical aspects of chronic malnutrition, primary education and health in Pune and Delhi/NCR. Please reach out to Avi Kumar Tiwari, SNEH Foundation POC at Gurgaon (9561129805 ) or call Satpal Ji (8053206234 ) for any queries. 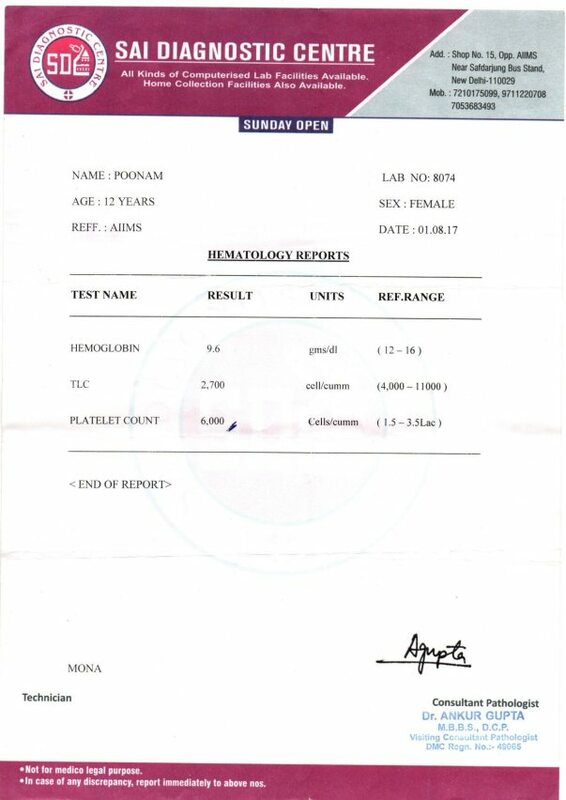 Note: As of now we are initiating a fundraiser of INR 75000 for Poonam's regular medicines and cost of weekly blood transfusion and later hopefully if we can find a donor, Stem cells/BMT transplant would cost INR 10-15 Lakh. The campaign would be modified accordingly. We have some unfortunate news to share with you today. Poonam passed away in the late hours of Monday (4th September). She was diagnosed with blood cancer and was getting treated for the same. Her sister was supposed to be the donor. Her immunity had reduced drastically and she was very vulnerable to infections. Her kidney's, lungs and liver were infected and the doctors were treating her for the same. Her multiple organs failed and she passed away. 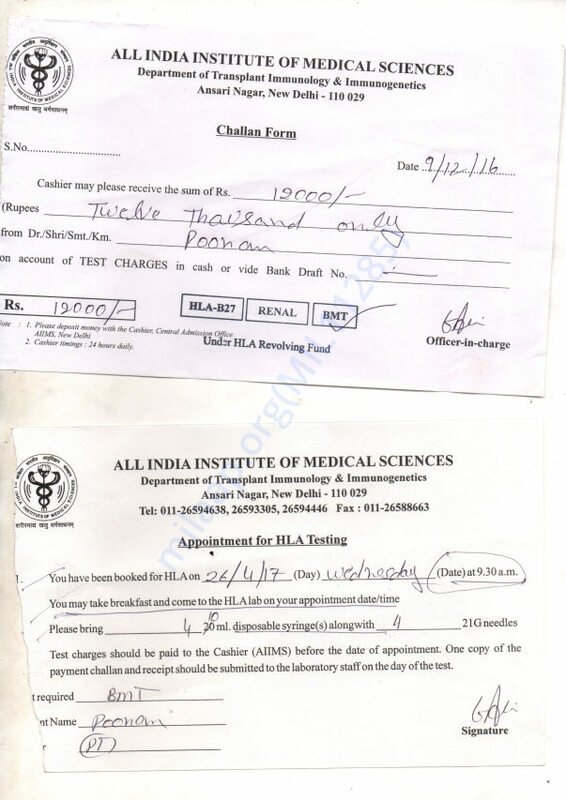 SNEH Foundation thanks you for your valuable contribution for Poonam's treatment. Let's pray for her soul. The funds raised for her treatment would now be given to Poonam's family. SNEH thanks, all of you again for contributing to this campaign. We hope her family finds strength in this time of grief. May Poonam’s soul find peace. Please keep the family in your prayers. What we are about to share with you is truly a miracle. 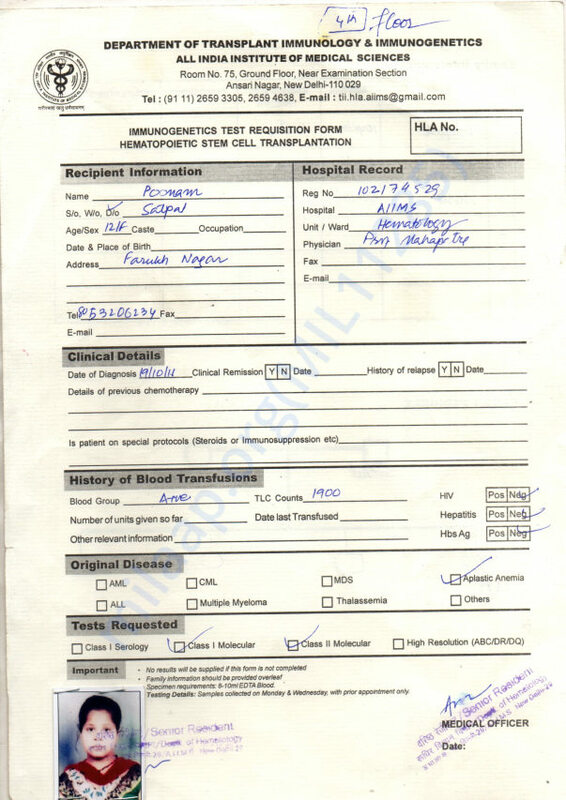 AIIMS team has successfully completed all the test and we have found a match for Poonam's Bone Marrow transplat. Its none other than her blood sister. It wouldn't have been possible without your support. Also, AIIMS team has shared a budget of INR 10 Lakh for the operation but we have managed to approach the government and they will waive off 80% of the cost. So, we now have to raise 2 lakh only and we will be able to save yet another life. To begin with, we can't thank much to all the amazing folks who have come forward to help us save a life. 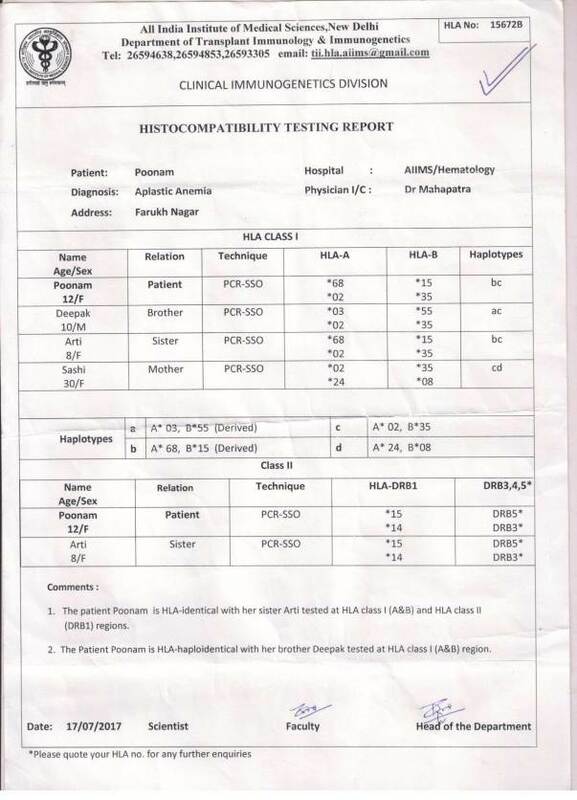 Poonam's HLA typing test date is approaching and we can only hope to find a Bone Marrow Transplant/Stem cell match. Will update everyone once the results are out. Meanwhile she is undergoing blood transfusion every week. 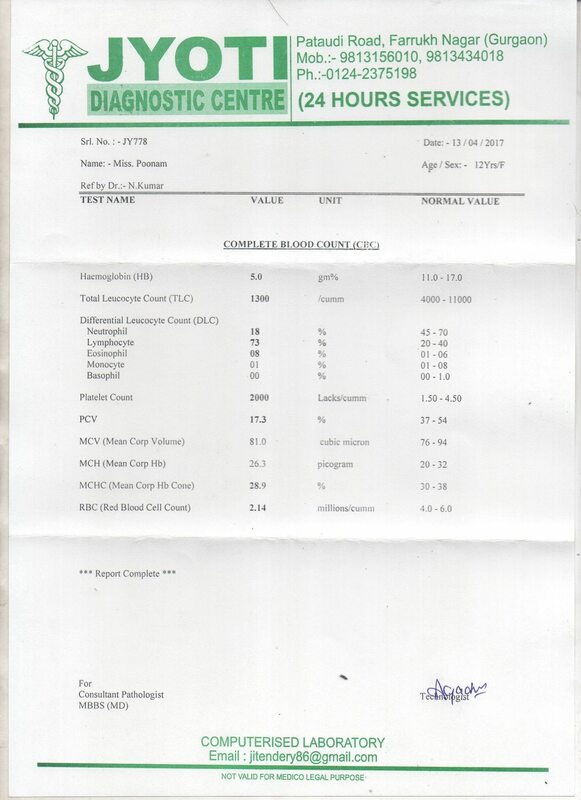 This is the latest blood report of Poonam and her HB count is 5 only. Please spread the word and help us reach more people like you. Once again, thanks a lot for your contribution.